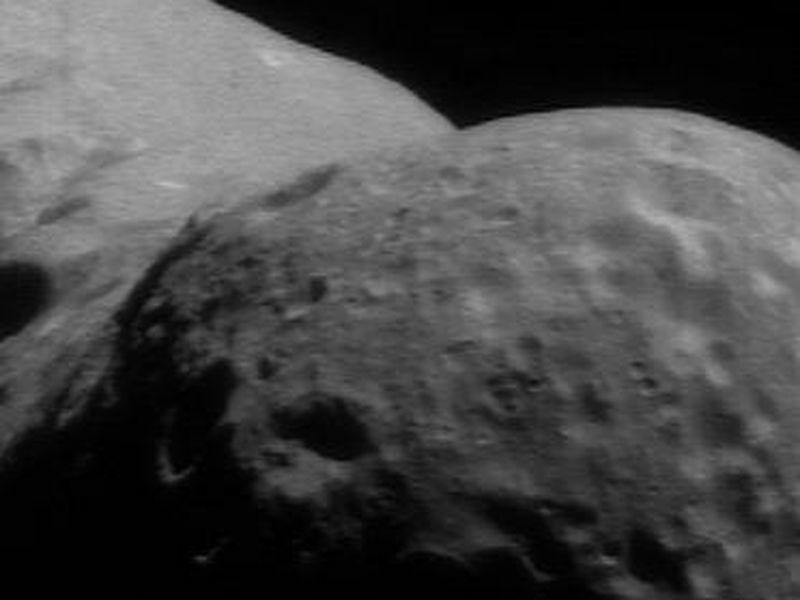 NEAR Shoemaker's imager took this picture on November 18, 2000, from a vantage point 194 kilometers (120 miles) above the southern part of Eros' western hemisphere. 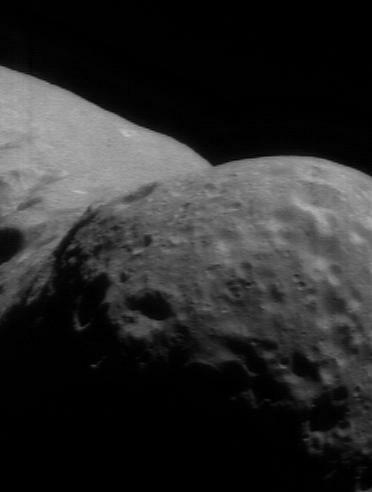 The curvature of this part of Eros makes the asteroid look like a bent peanut. 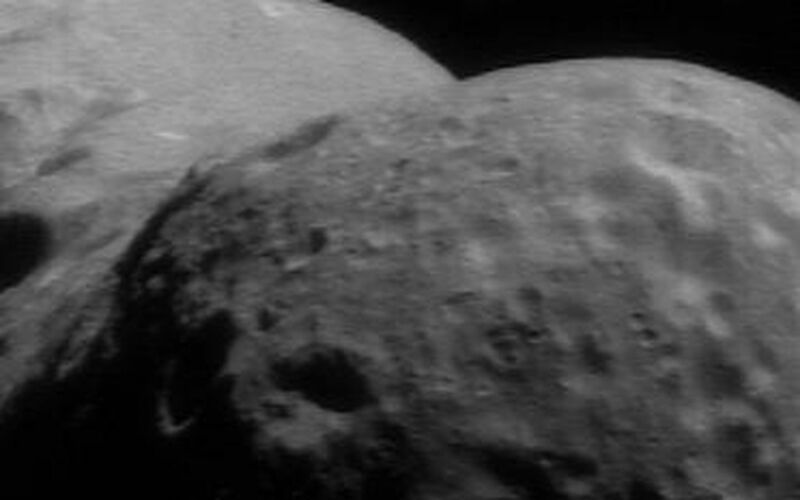 The scene is 6.8 kilometers (4.2 miles) across; the depth of field between the foreground (at right) and the horizon (at left) is nearly 30 kilometers (about 18 miles). 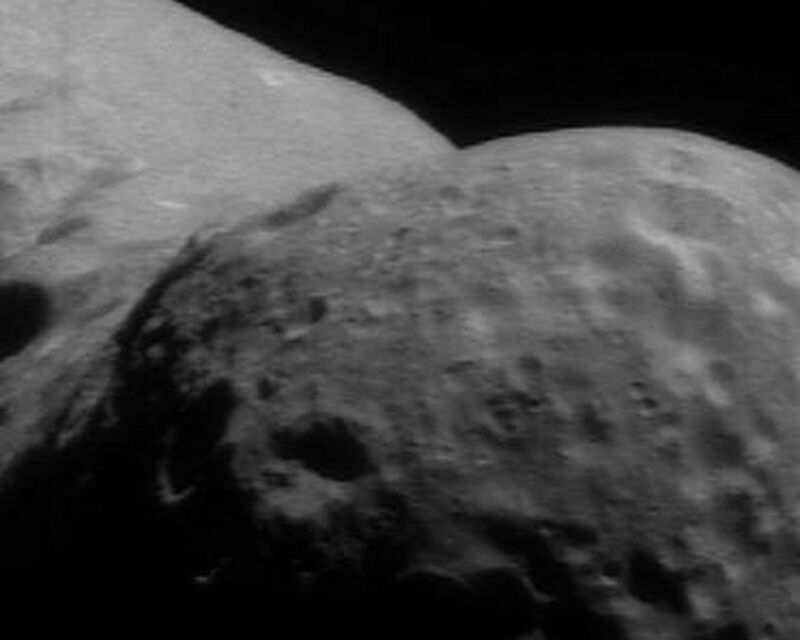 While the imager was snapping this photo, the spacecraft's laser altimeter was measuring topography.